Faced with the challenge of promoting the mysterious sixth installment of “American Horror Story,” FX leveraged virtual reality at San Diego Comic-Con to create a world that let fans face their darkest fears on a journey through iconic elements of the show. In keeping with the overall marketing campaign, the VR engagement immersed fans in as much detail of the show’s horrors as possible without divulging specifics about the upcoming season, and generated ROI through social amplification. 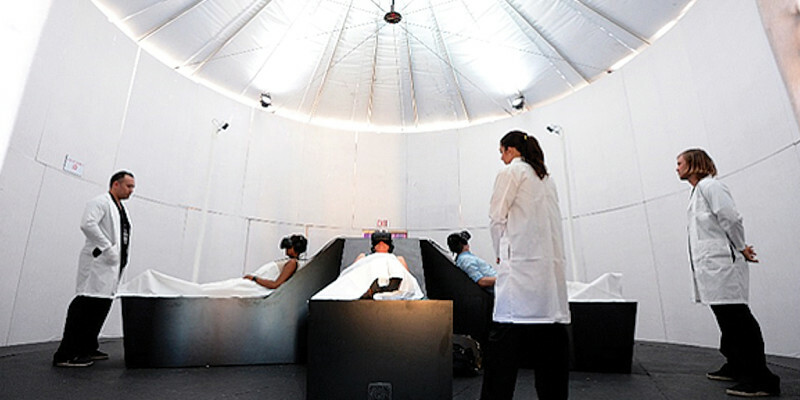 Housed in a large black structure, the Fearless VR experience began in a futuristic-looking lab with beds where groups of five attendees wrapped in blankets and wearing HTC Vive headsets journeyed through a five-minute experience that elicited fear, vulnerability and panic, allowing them to engage first-hand with what they love most about the series. While the experience was constructed in a game engine, 360-degree motion capture technology evoked feelings of horror by making characters such as the White Nun and Twisty the Clown as real as possible. To create a seamless experience, yet keep the mystery in tact, the physical space was designed to isolate those participating and pique the curiosity of those outside waiting. An online reservation system helped fans avoid long lines and guaranteed participation. The “American Horror Story” VR experience was one of the most popular at the convention, garnering more than two million social impressions. Since then, thousands more fans have participated in the virtual horror from the comfort of their homes through the HTC Viveport. In short, it was a scream.